I have measured out my life with Clash vinyl. Well you have to have a hobby, don’t you? I remember when I first heard this album, not long after release, and wondered what was going on with Julie’s Been Working for the Drug Squad, that ain’t no punk rock I know. 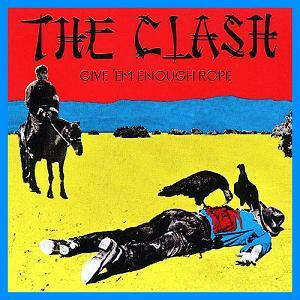 Give Em’ struggles against the other Clash albums, basically down to the production and tailoring to the US market (apart from Cut the Crap of course, but let’s not open that Pandora’s Boxset) but I would argue that the first three tracks on this album are as strong as any Punk/New Wave album released in the late 70s. Hidden gem; Stay Free, of course. This entry was posted in Uncategorized and tagged The Clash. Bookmark the permalink. Love about half of it; tolerate the other half.